How can Understanding Penalty Calculations Help Safety Professionals? ​One lesson learned from the penalty calculation article is that penalties can be small if you have a good proactive safety program in place. Penalties will be smaller if you don’t have “repeat” or “willful” violations because your employees and managers work with you to ensure that won’t happen. But getting to this point can be a real challenge and can take years to achieve. 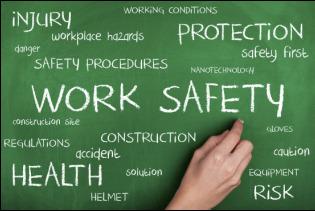 Managing safety programs is a true exercise in risk management. Limited resources and shrinking staff sizes make it imperative that resources are focused where the company will get the biggest return on investment (ROI), which can include investments in guarding, chemical management equipment and other safety devices. And, SHE professionals often times need to justify to upper management why they need those limited resources at all. One approach is to keep in mind severity and probability when reviewing the ToDo list generated after performing hazard assessments and inspections. Use these as tools when prioritizing and scheduling what improvements need to be made in the facility. Walk through the two gravity assessments with the production manager and operators who work with the equipment or chemical of concern. Getting their feedback and observations can provide details about the equipment or situation that you didn’t know about, and their input will lend more objectiveness to the overall analysis. If the perceived injury from a hazard has a high severity and probability, it probably needs to be higher up on your ToDo priority list and higher up on the company’s capital improvements project list. Machine guarding, gas monitors and special chemical handling equipment can be expensive. However, using a gravity of violation example during budget negotiations with upper management may help illustrate that the investment will protect the company’s greatest resource and have a positive ROI.